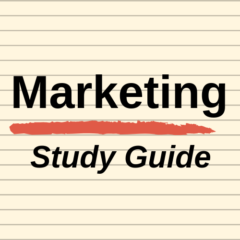 What is portfolio analysis in marketing? In marketing strategy subjects, you often learn about different strategic models – some of these will include portfolio models, or portfolio matrixes, or portfolio analyses – which are all interchangeable terms for the same concept. What is a business portfolio? A business portfolio is essentially the same concept as a share portfolio for an individual investor. Someone who invests in shares and has a mix of different shares has what is known as a share portfolio. The same principle applies to larger businesses (that is, a conglomerate) that owns and operates multiple different businesses – in this case their collection of different businesses is referred to as a business portfolio. Large companies that investments in multiple businesses and operate numerous different companies under the logical structure – such as, General Electric – there are some additional challenges for the firm. Firstly, the firm needs to have a separate corporate strategy level, as it outlined in the discussion on the strategy hierarchy. As can be seen above, there is a significant array of challenges and strategic decisions that need to be made at the corporate strategy level. These tend to be quite significant decisions they can have a major bottom line impact. To help guide these particular strategic decisions, portfolio analysis can be undertaken that allows a large company to compare its business units on some relatively simple attributes. Although appearing quite simple at times, portfolio models to allow for a relative comparison between the strengths and situation analysis of the different business units within the organization. There have been a number of methods and models developed to help managers design a multi business strategy for different business units operating in different industrial environments. These portfolio analysis methods help determine the balance between a company’s strategic business units and guide the resources allocation between them. This growth-share model mainly concerns the generation and use of cash within a certain organization and is considered to be the simplest and best-known model to analyze the strategic units within a certain company. This model is focused on the market growth rate and the relative market share of different business strategic units. This model is focused on market attractiveness as well as the strength of the business. In a number of ways it is an extension of the above Boston Consulting Group model, but uses a multi attribute approach, rather than single dimensions. This model is considered to be an improvement of the General Electric matrix, having as a starting point some of the same features. This matrix is focused on the company’s competitive capabilities and prospects for sector profitability. It is however based on a complex analytical process and therefore criticized by some. Another weakness of this model is the fact that is assumes that the same set of factors is applicable for any business. This model introduces a sense of realism in the strategic planning process. It also introduces the industry life cycle dimension but it also lacks a standardization of this life cycle. Better known for predicting the sales patterns within a market, but also an effective portfolio tool that allows business units to be matched against their current and future sales expectations – that is, introduction, growth, maturity or decline.